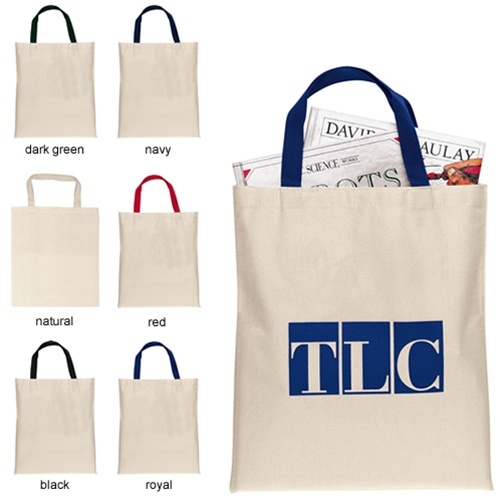 Custom Bargain Canvas Imprinted Tote Bag is made from 7-8 ounce lightweight natural cotton. Logo Imprinted Canvas Tote Bag is designed with sturdy construction. Custom Bargain Canvas Imprinted Tote Bag is available in 6 colors: Black, Dark Green, Natural, Navy, Red, and Royal.